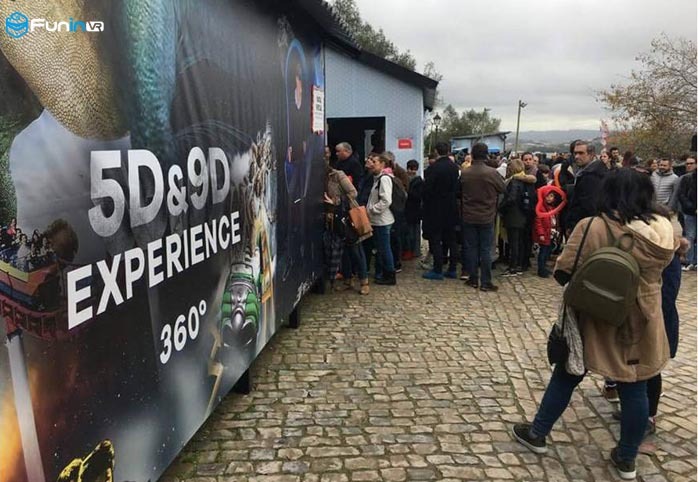 In Portugal Square, the people lined up for long wait to experience zhuoyuan 9Dvr Experience Museum. According to the person in charge of the experience hall, the introduction of this equipment in the amusement park is based on its “new exotic”. First of all, the appearance is attractive, the seat is composed of three “shells”, and it has a sense of science and technology. At the playground, it Can attract tourists to experience. Secondly, because it is a full immersive experience, the experience is real and exciting.